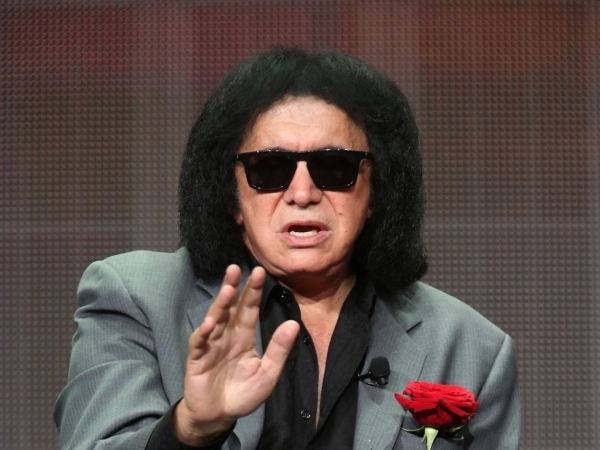 Gene Simmons is one of life's "winners" because he's never been "high or drunk". Gene Simmons is one of life's "winners" because he's never been "high or drunk". The Kiss rocker is promoting his new book Me, Inc: Build and Army of One, Unleash Your Inner Rock God, Win In Life and Business at the moment. It includes many tips on how to get ahead in life, including steering clear of illicit substances. Gene used his bandmates as examples of what he means by this in a new interview. "You learn partnerships, you learn how to get along with people,” he told napervillesun.suntimes.com. “You learn drugs and alcohol don’t mix. Ace [Frehley] and Peter [Criss], who were drug addicts, are by today’s standards poor… I’ve never been high or drunk in my life, and Paul [Stanley], I don’t think, has either. [We] are winners. You cannot run a race when you’re high. You won’t win." Gene also warns of the importance of choosing the right friends. He advises against hanging around with "stupid people", insisting all your pals should be "smarter [and] richer" so they can teach you things. The 65-year-old star knows his approach won't be for everyone, but he sees that as a sign of the times. The rocker claims he was astounded when he left high school as he realised he was completely unprepared for how to make money. "I wanted to write a book for the people. It’s very American. I am one of the Great Unwashed Masses. I came here as a legal immigrant - there is a difference. English was my third language [he speaks Hungarian, Hebrew and German]," the Israeli-born said. "The astonishing thing in this era of entitlement and political correctness is that people don’t like it when you tell them the truth. At this point in my life, I’m too rich to care [if they don’t like it]. Tough love is important."